Seven people were killed in an attack on a church in Chechnya on Saturday (19 May) that was claimed by Islamic State, local sources told World Watch Monitor. The victims included two police officers who were guarding the church, all four militants and one churchgoer, World Watch Monitor was told. Two more security officers and one parishioner were injured and hospitalised. Approximately 30 people were attending a service in the Russian Orthodox Archangel Michael Church in the centre of Grozny, the capital of the Muslim majority Russian Republic, when it was stormed by four armed men at 3pm on Saturday, according to the local source. Islamic State claimed responsibility for the attack through its news agency Amaq. “Islamic State fighters executed an attack on ‘Michael’ Church yesterday in Chechnya’s capital, Grozny,” Reuters said, quoting Amaq. The church’s priest, Father Sergiy, said churchgoers heard shots outside and chants of “”Allahu Akbar,” or “God is Great,” in Arabic, according to Radio Free Europe. He reportedly told the Russian state RIA Novosti news agency that they shut the doors and secured the bolts just as the gunmen tried to break in. Chechnya’s Kremlin-backed leader, Ramzan Kadyrov, said the gunmen – who were carrying knives, hatchets and some homemade explosives – initially had taken some people hostage, reported the New York Times. 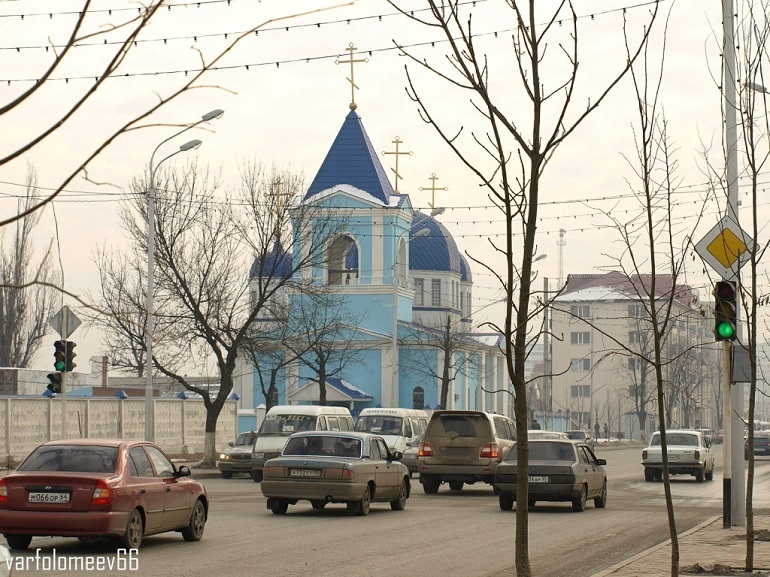 “Grozny once had a substantial ethnic Russian, Christian population but most of them fled during the [two separatist] wars in the 1990s”, the US paper said, adding that the Church had been at the heart of some of these battles. According to the Christian charity Open Doors that supports Christians under pressure for their faith, Islamic militants in Chechnya and other areas in the Caucasus region are fighting against the Russian army to establish a Muslim emirate. They are joined by men and women who have travelled to Syria and Iraq to fight alongside the Islamic State there, but are now returning as the group has lost most of its territory, according to the New York Times. A 2013 report written by Chatham House found that Islamic extremism in Central Asia and the Caucasus was increasing and likely to continue to do so, in part thanks to the disillusionment of some Muslims who feel victimised by the West and who believe themselves to be subjected to a “grand conspiracy against the Muslim world”.